The disk space is one of the most valuable resources on a computer, especially for those who have little to maneuver. Not only is it enough to worry about the files that we download and the programs that we install, but Windows itself occupies a good portion and as time goes by it expands even more if we do not do maintenance. Although there are many utilities that we can use to free up space, and delete temporary files, it also helps a lot. A quick and easy way to get a few extra gigabytes, is to delete some folders of the system that we do not need and that we can get rid of without fear. To access it you need Administrator permissions. It is located in C:\Windows\Temp and you can access it by going to This computer> Local disk> Windows> Temp. 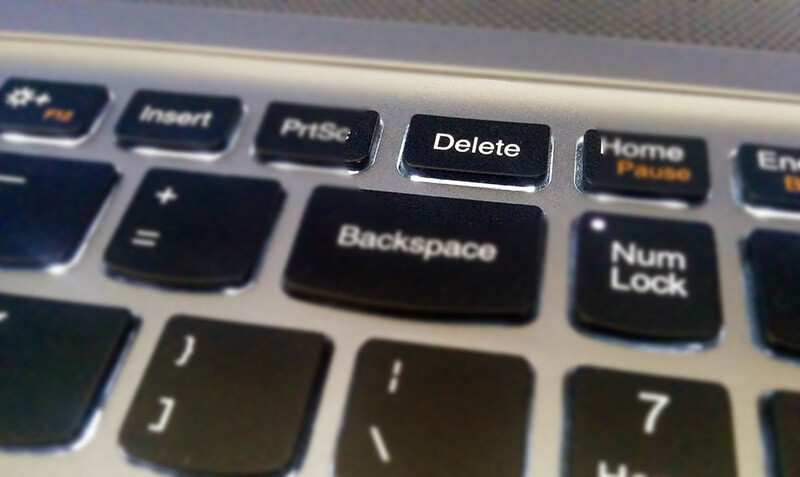 Once there, select all the files and press the Delete key. You will be asked for confirmation because it is a system folder, and perhaps some files can not be deleted instantly, but everything that is there is no longer necessary. In this folder, the files of your old version of Windows are stored every time you install an important update. Its content serves to return to an earlier version of the system, and therefore usually occupy a good portion of space. Although almost nobody uses the hibernation mode because Windows 10 hid it from the options menu when restarting or shutting down the system, it is still active by default. The hibernation mode allows your computer to start extremely fast because it keeps the status of everything you had open before suspending the computer, and for that it stores a huge file on your hard drive. That file is not necessary, because the suspend mode does exactly the same thing, only that it stores the state in RAM. The hibernation file is located in C:\hiberfil.sys but with deleting it you do not do anything, because Windows will recreate it if the hibernation mode is still active. So what you should do is disable it. To do this press the start button, type “command prompt” right click on the result and execute it as administrator. Inside the terminal, type powercfg.exe /hibernate off and press enter. This disables hibernation mode and automatically deletes the file from your disk. You can check it by opening the configuration. Press the Windows + I key. Click on System, then on Storage, choose the unit where Windows is installed, select System and reserved and there you have the information. Except for the hibernation file, most of these folders can be automatically cleaned using the Disk Cleanup that incorporates the same Windows. It is good that you remember to execute it from time to time. Or at least remember to empty the recycling bin by erasing all this by hand, after all, if you do not do it the space is still occupied.